Where to eat, drink, shop, and sleep. While you might still think of the sprawling Thai capital as that grungy setting where Leonardo DiCaprio kicked off his adventure in The Beach, these days Bangkok tells a different story. 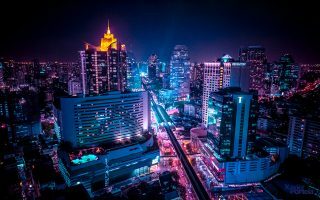 The big city is changing – and while the grit and chaos will always be a part of the landscape, Bangkok today is one of Asia’s most cosmopolitan mega-hubs. With cutting edge modern restaurants, a vibrant foodie scene, coupled with its majestic temples and bustling nightlife, Bangkok is a powerhouse metropolis on the rise. 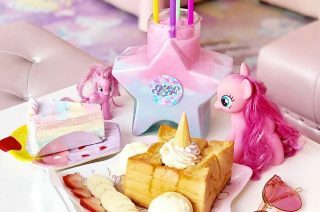 Here, we zoom in on some of the newest and most exciting spots in the dynamic, sleepless, increasingly sophisticated BKK. In the space of a couple of years, Bo.Lan has carved out its reputation as one of Bangkok’s most sought after culinary hotspots. This ‘essentially’ traditional Thai restaurant coats the region’s finest flavours with a fine dining flourish, and does so with elegance and cool. Set up by husband-and-wife duo, Thai-born chef Duangporn ‘Bo’ Songvisava and Australian-born chef Dylan ‘Lan’ Jones, Bo.Lan has gained local respect for its social responsibility, working with nearby communities to source ingredients, while gearing towards a zero carbon status by 2018. That said, its flavours alone make it worth the reservation. Chef Gaggan Anand’s latest foray into the Bangkok dining scene has drawn more than its fair share of praise from the foodie world, topping the best restaurants in Asia list the past three years. Set in a 19th century, wooden colonial-style house on busy Langsuan Road, Gaggan is an explosion of modern Indian gastronomy – settle in for the works via the ‘Gaggan Experience’, the restaurant’s signature 18-course degustation. Futuristic local favourite Bed Supper Club – a club known for its futuristic white interior and lavish lounges – closed its doors in 2013, only to be rebranded and reopened nearby. 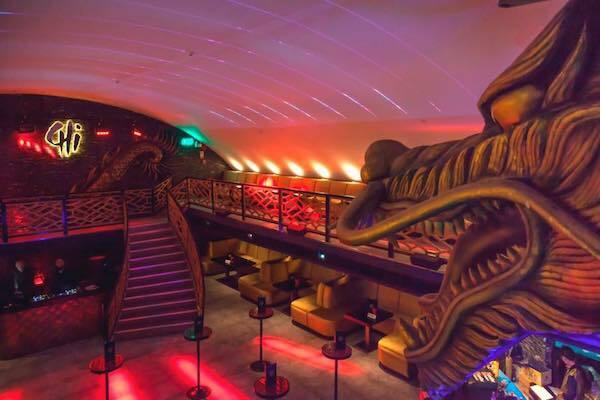 While the old minimalist aesthetic has been replaced by a Zen garden and a giant fish tank, the all-new, all-improved Chi Ultra Lounge continues the supper club’s legacy as Bangkok’s premier electro institution. 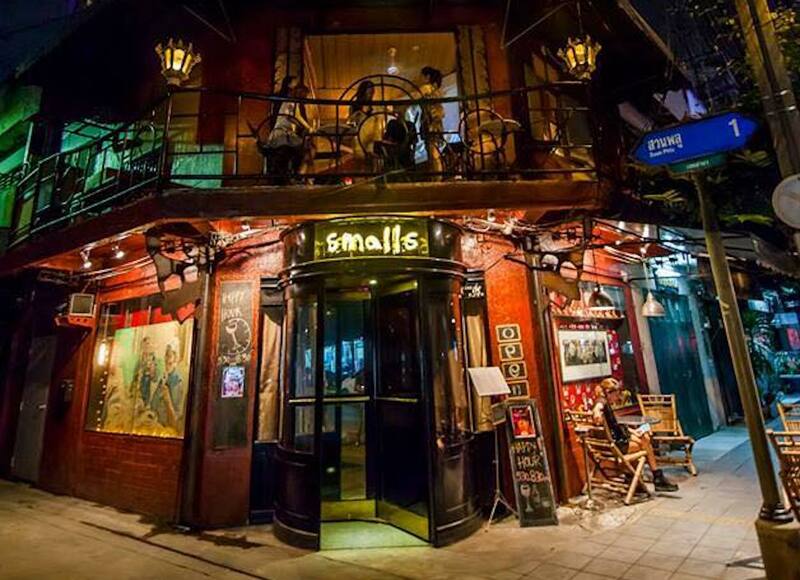 Lurking on a street corner in an old townhouse on off-the-beaten (but quietly buzzing) Suan Phlu, Smalls is as satisfying as it is unassuming, a dimly-lit, multi-level speakeasy featuring stripped back walls, modern art and a weekly roster of excellent live jazz. 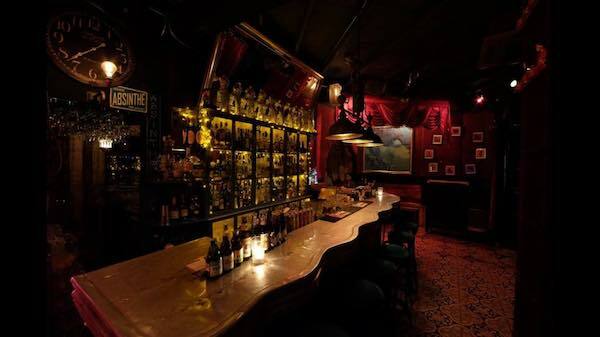 So too, no nonsense pours of serious alcohol – if ever there was a place in BKK to slip into 1920s Paris, it would be here. Tackle few house special absinthes and simmer away a hot night over cool jazz. 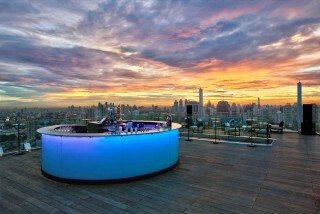 Lebua’s Sky Bar became an instant tourist attraction after its feature in 2011’s The Hangover 2. Suspended over the city 820 feet in the air, there’s no false advertising here – you’re riding high. 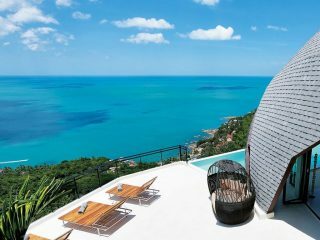 A schmick affair, drinks are well over the standard local price here, but you’re paying for the vista (which is worth every baht). As the dusk sets in, shoot 64 floors up the State Tower elevator, settle in for a house special pop-tail or an obligatory Hangovertini, and relish in one of the most decadent sunset vantages on the planet. A cherished local institution, there’s nothing new or strictly cosmopolitan about Chatuchak Weekend Market. 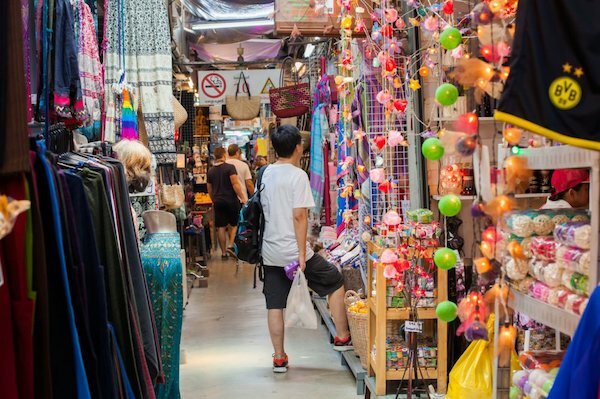 But with over 8000 stalls covering 27 acres of space, Chatuchak is still one of the largest on earth, and it’s still a must-visit whenever you’re passing through. 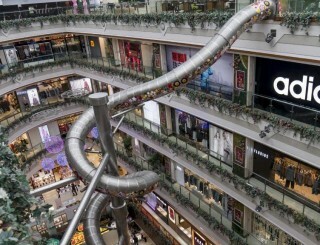 Open every Saturday and Sunday, it attracts nearly 200,000 visitors a day – get amongst it and get your shop on. 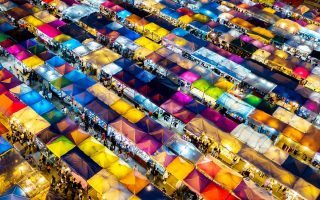 Bangkok is arguably the best place in Asia for eclectic markets, and the Rod Fai night market, AKA the Srinakarin Train Market, is a must-see. 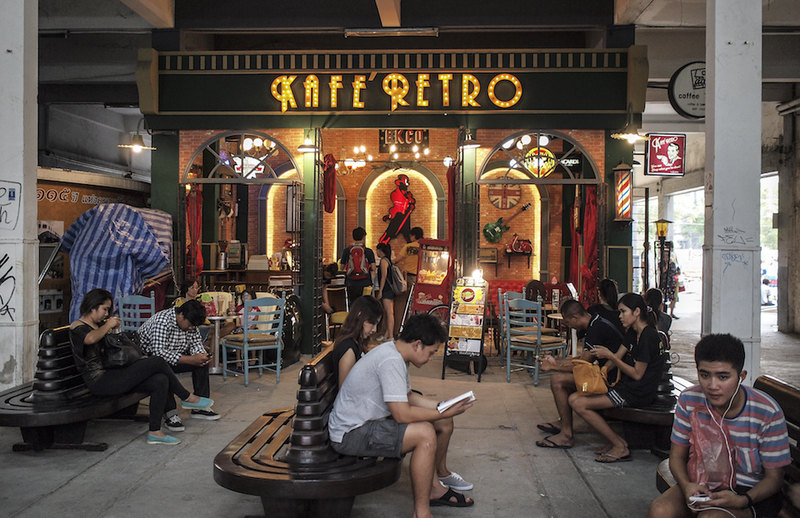 A more modern, and slightly more hipster-fied take on the traditional alternatives, Rod Fai is a veritable bazaar lined with delicious, colourful street food stalls, vibing bars, live music, and a compelling selection of stalls hawking vintage paraphernalia. 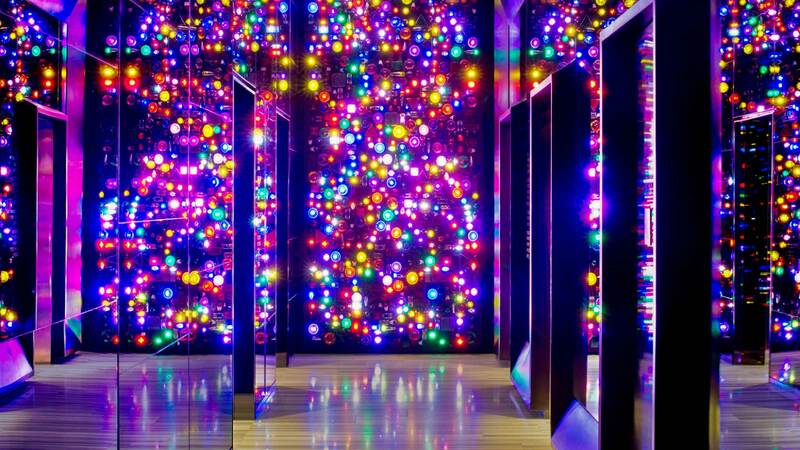 A luxury playhouse, an urban escape, a five-star accommodation experience like no other – this is what people are saying about W Bangkok, and it seems they’re on point. Decked out with sleek, uber-modern décor, walls lined with tuk-tuk lights and one of the most enticing lobby bars in the city, W Bangkok exceeds the local standard. Add to the chic mix a freeform swimming pool rigged with underwater speakers, and a ‘Whatever/Whenever’ service-concept, where a dutiful staff member will attend to any request, need, or requirement (as long as it’s legal). 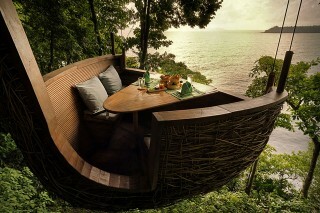 If the big city glitz isn’t your thing, seek relaxing, eco-friendly refuge at Bangkok Treehouse, a rare green oasis in a city of gaudy bustle. Located in the city’s ‘green lung’ of Bang Krachao, Bangkok Treenhouse runs on a sustainable mix of eco-materials, and is committed to doing its bit to help the planet (each booking removes one kilo of garbage from the adjacent Chao Phraya River). 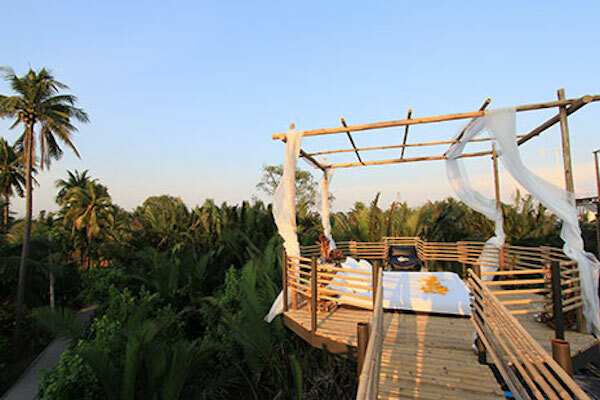 Arrived by bike or surrender your electronics for a 15 per cent discount – it’ll make your stay in one of these lush tree-top ‘nests’ even more tranquil and rewarding than they already are. Bangkok truly is the city never sleeps, and with these modern hotspots (and more) there’s even more reason not to. Make your next trip a cosmopolitan affair, and experience the best of Bangkok in style. 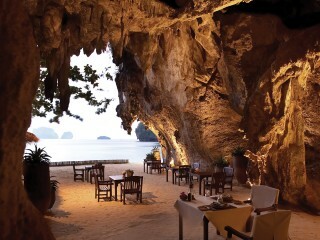 Check out Qantas flights to book your next adventure in Bangkok.